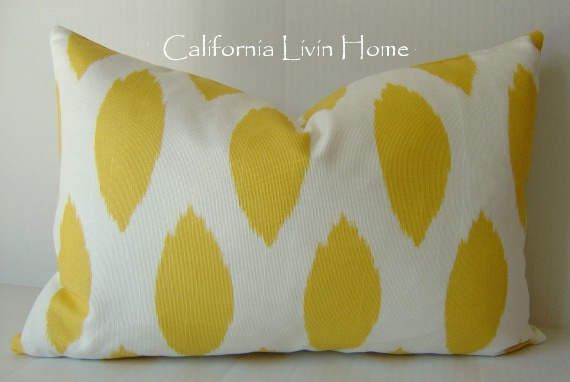 California Livin Home: GOT IKAT ? 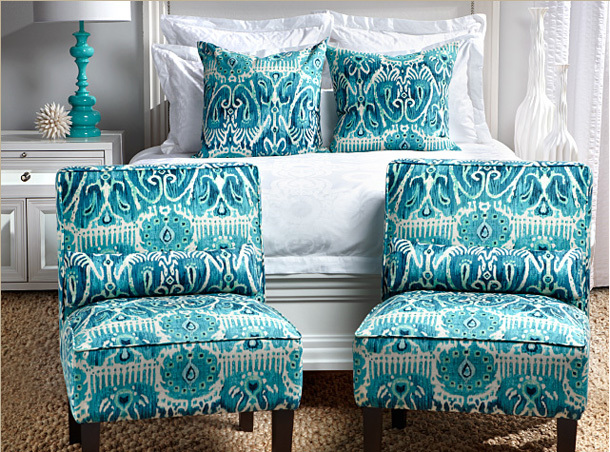 One of my newest favorite fabrics is IKAT (pronounced ee-kat). I have a few in my Etsy shop and love the mix of colors that some come in. They have been around for several centuries. 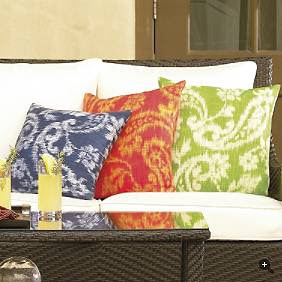 The word “ikat” means “to tie” or “to bind”. This describes the process and also the fabric itself. 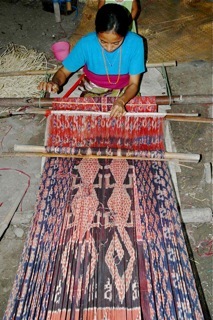 True Ikat fabrics have the pattern tied and dyed before the fabric is woven. 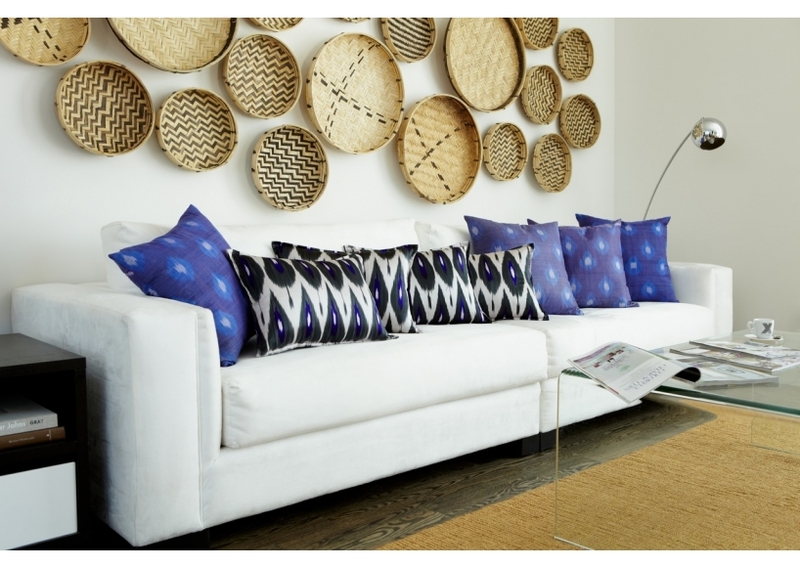 Even though, many of today’s Ikats may not be “true” in the sense of how the fabric is constructed, the pattern lives on and is easily recognized when used as a pattern in interior design. 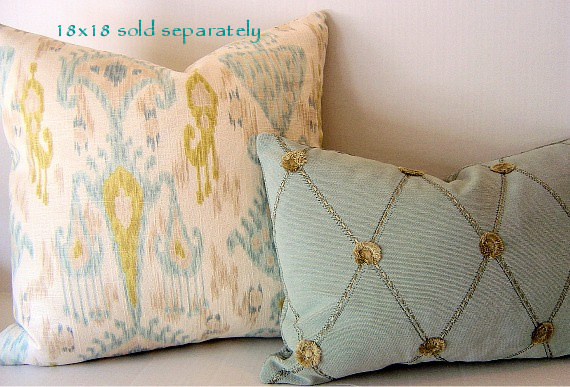 So many items are being made with IKAT prints, not only home decor. 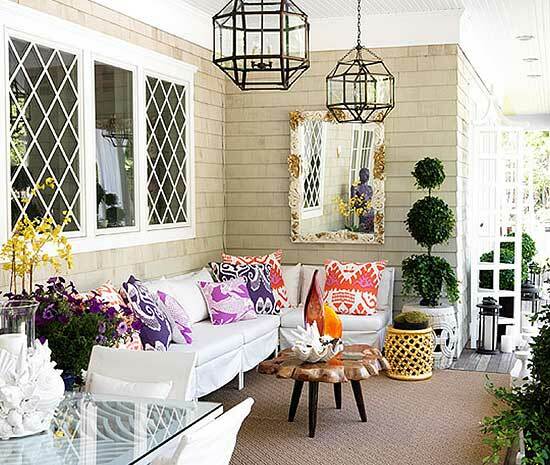 Now this is my kinda porch! and colors! !